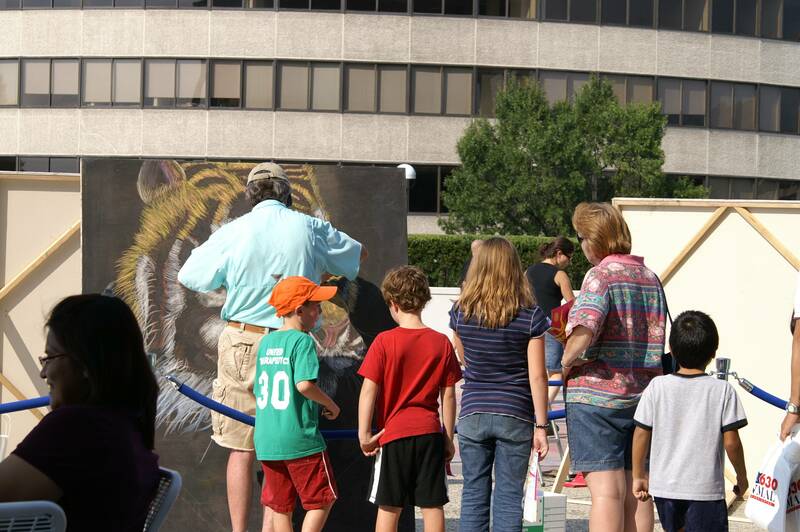 This year Tim was pleased to be an invited guest artist at the Washington Chalk Festival at the Kennedy Center, held Sept. 8, 2007. The Washington Chalk Festival was founded by artist and children's book author Edwin Fontánez in 1993 as an offshoot of the International Chalk Festival. It has remained a popular highlight of Open House every year since 1995. More information on Edwin Fontánez and past Chalk Festivals can be found at exitstudio.com. 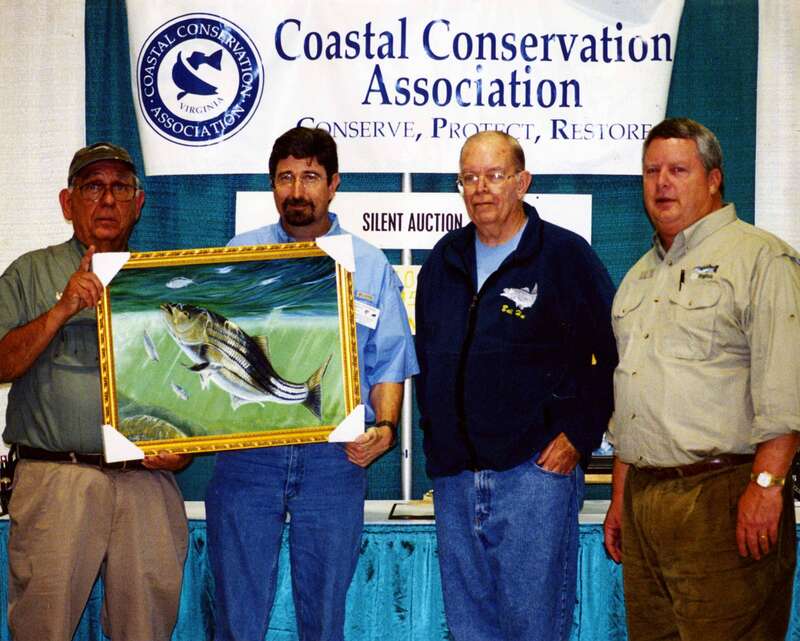 Tim donating the original of "Breakin' at the Rip" to the Coastal Conservation Association, who hosted the show. Tim got a workout that weekend, hand-signing and numbering 1000 black and white prints for show attendees. 1999 Water Works Exhibit, Rock Creek Gallery, Washington, D.C.
2000 - 2004 Virginia Living Museum's Wildlife Arts Festival, Newport News, VA.
2000 VSA Arts' International Night Gala, Embassy of Russia, Washington, D.C.
2000 VSA Art Exhibit, Dept. of Justice, Washington, D.C.
1999 Rock Creek Gallery, Washington, D.C.
Timothy R. Leary -- ALL RIGHTS RESERVED.